For an entrepreneur of the past, the months, or even years, prior to moving into their first affordable office were often spent on kitchen tables, in spare rooms or even, at the local library. Thankfully, the rise of coworking spaces and hot desking means now even the smallest start-up can consider working in a serviced office, at a very reasonable cost. However, with London’s love of entrepreneurialism seemingly at an all-time high, small business owners can feel a little inundated when picking the best coworking space for their business – given the plethora of options now available. In such a crowded market, many operators have taken to offering rather unusual gimmicks to gain notoriety – with some offerings more of a distraction than anything else. But at Startups, we know what you’re really looking for is an affordable, secure and creative environment to run and grow your business in – and that’s why we’ve compiled a list of the very best coworking spaces London has to offer. So, whether you’re a one man band looking to hot desk somewhere in the city, a female business owner looking to work alongside like-minded entrepreneurs, a charity start-up looking to give something back, or a discerning director looking to immerse your enterprise in the very best London has to offer, simply complete the webform at the top of the page and find the perfect home for your company. With numerous locations scattered across the capital, WeWork, Central Working, Runway East and The Office Group are some of the best known and most trusted coworking spaces in London. Holding a very general appeal, these shared workspaces are suitable for almost any business – ensuring you’re in safe hands should you decide to choose them as your provider. To compare these coworking spaces read on below, or, complete the webform at the top of the page to receive a free quote and find which one is most suited to you. 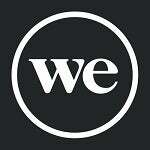 Description: Founded in 2010, WeWork has over 140 locations in 15 countries across the globe, hosting over 120,000 members and almost 10,000 companies worldwide; including household names Dropbox, Samsung and IBM. Placing a huge emphasis on cross collaboration, the workspace provider says that over 70% of its members collaborate with one another. Locations: 35 including Marylebone, Hammersmith, Chancery Lane, Soho, London Fields, Aldgate Tower, Paddington, Spitalfields, Shoreditch, Tower Bridge, Old Street and Moorgate. Unique features: Members can expect cross-collaboration between international members, as well as access to the WeWork Creator Awards and WeWork Summer Camp. 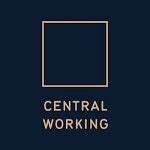 Description: Founded by James Layfield, Central Working is the serial entrepreneur’s fifth business and is built on his own experiences of running an enterprise and trying to find suitable office space. 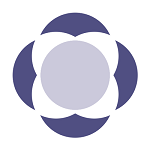 Admitting he also found it lonely at times when running his own company and in constant need of advice, Central Working aims to eliminate all the issues – by offering members tailored packages and placing huge emphasis on cross collaboration and in-house support. Locations: Seven including White City, Paddington, Victoria, Bloomsbury, Farringdon, Shoreditch and the City. Once a business becomes a member, they also have unlimited access to other Central Working locations such as in Cambridge, Manchester, Cape Town, New York, Tel Aviv and Mumbai. Price: Prices are tailored to each individual business – ensuring you won’t pay for services or space you don’t need. 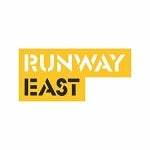 Description: Offering a range of open plan and private offices across its three London locations, Runway East can house anything or anyone from one man bands, to small businesses with 100 employees. In terms of individual locations, Moorgate is best suited for teams of between one and 20, Shoreditch for one – 80, and Featherstone 40 – 100. 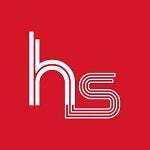 Members include the likes of Lovespace, Tech City UK, Streetbees, Grabble and PawSquad. Locations: Three including Moorgate, Shoreditch and Featherstone. Unique features: Excellent transport links, each location is under 90 seconds from an underground station. Runway East Shoreditch also hosts Hangar 58, a free (application only) cafe, bar and event space for London’s founders and investors, located just 50 metres from Old Street Roundabout and open 8am – 4pm every weekday. Description: Founded in 2003, The Office Group has over 15,000 members across 33 buildings. Unique features: The Office Group offers what’s called ‘virtual membership’ for entrepreneurs who just need a business address, as well as mail and phone services. All Office Group members also receive a copy of &Co magazine – a bi-annual publication for entrepreneurs – while four of its buildings also offer boutique fitness studios. Description: Launched in August 2013 by property entrepreneur Jonny Rosenblatt, the Headspace Group looks to provide young businesses with a “modern, stylish working environment”. Opening its first site in Farringdon, Headspace generally caters towards start-ups in the media, technology and creative sectors – equipping them with the support and facilities with the facilities needed to grow. With previous tenants having included the likes of Buzzfeed, Move Guides, and the London School of Photography. Its “boutique” workspace, which features private kitchenettes and a Sonos sound system, opened its doors in Marylebone in December 2015. Unique features: Headspace members have free access to its worldwide network of coworking spaces. 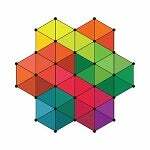 Description: Founded by David Galsworthy and Alex Rabarts in 2012, Techspace redevelop buildings across Europe, supporting tech ecosystems with the most significant potential for development. The specialist in flexible coworking space for fast-growth tech businesses, Techspace partners with “ambitious” start-ups who want more ownership of their workspace, helping them bridge the gap from start-up to scale-up. Locations: Aldgate East, Hoxton, Shoreditch, Shoreditch High St and Whitechapel. Unique features: Techspace has an in-house team of engineers who are dedicated to creating exemplary new member services. Despite the flexibility of some of London’s best coworking spaces, the truth is that if you’re working freelance, operating as a one man band, or still even just tinkering around with your business idea, you might not know whether you actually need office space from one day to the next or not. This is where hot desking comes in, namely, the ability to pay for desk space per day, per hour, or even, per minute. 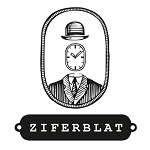 Description: First launched by Ivan Mitin in Moscow back in 2011, Ziferblat is a pay-per-minute cowork that models itself on a sitting room. Other branches include Saint Petersburg, Kazan, Kiev, Ljubljana, Manchester, MediaCityUK, and Liverpool. Unique features: When entering Ziferblat, there’s no requirement to sign up or provide any details whatsoever. Paying only for the time you spend; all food, teas, coffees and Wi-Fi are free. Description: Located smack bang in London’s most hip neighbourhood, Martello Hall is a restaurant and cocktail bar that offers hot desking and event space during the day. A converted 140 year old institution, entrepreneurs can hot desk during the weekdays on the first floor all while enjoying copious amounts of coffee. 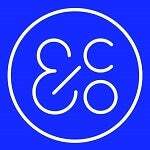 Description: Located in both branches of brunch spot Ben’s Canteen, and run in collaboration with startup marketing agency We Grow Startups, Ben At Work offers South London entrepreneurs affordable desk space, great (discounted) food and drink, and access to weekly business surgeries. 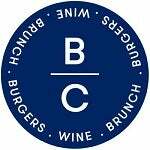 Unique features: Members receive a 20% discount of all food and drink at Ben’s Canteen – which was voted by Time Out as the best restaurant in Wandsworth. Ben At Work holds weekly expert surgeries in a variety of subjects including law, accountancy, marketing, PR, social media, HR, and web design. Members can receive further discounts on insurance, printing, accounting software, PR tool kits, virtual assistants and delivery logistics. 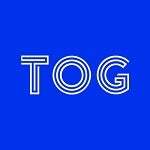 Description: Hand picking London’s best restaurants, cafes and event spaces that have room to spare during the working week, Andco members can pay just £20 a month to have unlimited access to hundreds of hot desks across London. While huge strides have been made in equality in recent decades, women looking to start their own business can be faced with many barriers their male counterparts just don’t encounter – one of which has been access to support groups. Thankfully a spate of such initiatives and organisations now exist to aid female-founded start-ups – and the coworking sector is no different. Below, we’ve selected the very best coworking spaces in London for female entrepreneurs. Compare options below, and receive a free quote by completing the webform at the top of the page. 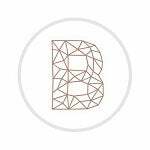 Description: Opening its door back in October 2017, Blooms is a co-working space specifically designed for female entrepreneurs. Officially open to “all 71 genders recognised on Facebook” via 24/7 access, resident start-ups can benefit from credit-based memberships, club sessions with mentors, experts and investors – as well as an on-site creche. 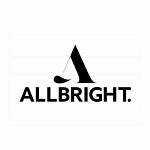 Description: Founded by serial entrepreneurs Debbie Wosskow and Anna Jones The All Bright is the UK’s first-of-its-kind members’ club for working women. Situated in a five-storey Georgian townhouse, with a cafe, bar, and powder room, the club is a multi-purpose space open six days a week. Members can work, host meetings, socialise, and enjoy rich cultural programming with like-minded women. Unique features: Cafe, salon and beauty bar, art gallery, fitness classes, events space. 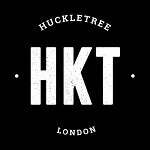 With a keen emphasis on sustainability, Huckletree’s Clerkenwell office is devoted to sustainability – housing energy saving equipment, furniture made from recycled materials, and lots of greenery. Locations: Three. In White City, Shoreditch and Clerkenwell. Description: Based in the Olympic Village in Stratford East London, Plexal is one of London’s largest innovation centres. Founded by Claire Cockerton, who was previously deputy head at Canary Wharf-based fintech accelerator Level 39, Plexal hosts Plexiglass, an accelerator programme specifically designed for female entrepreneurs – while also offering all your standard hot desking and coworking requirements. Unique features: Plexal hosts Plexiglass, an accelerator programme for female entrepreneurs. Run in partnership with London Legacy Development Corporation, Women-led companies in sectors such as AI, data analytics, cyber security, fashion tech and fintech are currently among the first cohort of businesses taking part. They say that charity starts at home, and much like your business, it probably does. But sometimes in order to change the world, you need to venture outside the confines of your kitchen. So because we’re too the generous type, we’ve compiled a list of the very best London coworking spaces that cater towards charity start-ups and social enterprises. 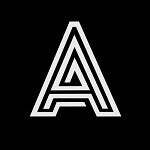 Description: Based in King’s Cross in a restored Victorian apartment, ARK coworking is a vibrant cowork that offers pay-as-go hot desking for creatives, social enterprises and start-ups. Unique features: spARK, a three month scheme offering a fully paid coworking membership to start-ups, entrepreneurs and freelancers making a difference. Funded by KXC, a local church and charity in King’s Cross, the purpose of the scheme is to support new and innovative local businesses that will impact and transform King’s Cross, London and beyond. 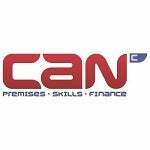 Description: CAN Mezzanine offers office space solutions and business support for UK social enterprises, charities and non-profits. 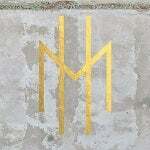 Locations: Four, in Borough, Loman Street, Old Street, Hounslow, and Queen Street. Description: iNDUSTRY, located in Shoreditch Trust, delivers affordable workspace to micro, small and medium-sized creative and tech businesses. The site offers desk spaces, studios and meeting spaces, where businesses can develop through the flexible use of space for meeting, networking, socialising, and cooking and eating together. 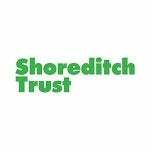 Unique features: All income generated through Shoreditch Trust’s Workspace and Enterprise Programme is re-invested in charitable initiatives.